A versatile counter or bar stool available in various heights, fabrics, and finishes to meet your needs. The Trica Allan stool is a fantastic transitional stool with a sleek wood accent on the back. 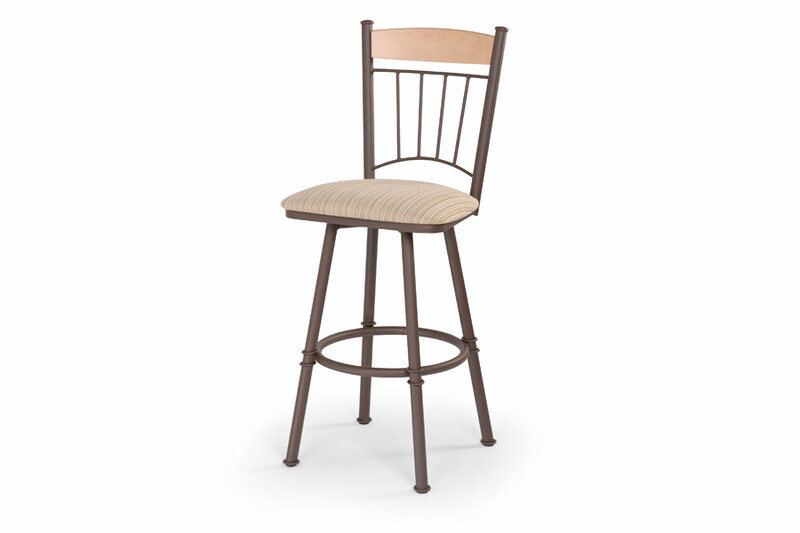 As with any of our stools, you are welcome to take Allan home to make sure he is the right stool for your home. The many Trica fabric, metal, wood and leather samples are also available to borrow. Trica kitchen and bar stools are custom made to the specifications you need, are built to last, and arrive very quickly. Stop by our showroom to see our samples.